Stress Free Luxury Travel Planning. Make It Happen! Chardonnay comes in so many variations, some people think it has become ambiguous. Instead, we see the versatility of Chardonnay as part of its huge success in America and the Napa Valley. Every tasting room pours at least one, and with all these different interpretations, it is easy for someone who hasn’t fallen in love with a Chardonnay yet to do just that. Served cold in the summertime, Chardonnay can not only take the edge off a hot summer night, it pairs with the many dishes and occasions of the warmer seasons. We will share with you some of our favorites, starting with the light and bright, then moving into the unctuous and more rich Chardonnays. Alpha Omega is a boutique winery with a cult following and a very small production. The team sources from historic vineyards in Napa for its red wine program, and creates an extraordinary flagship wine called ERA blended from the best of the best. Although winemaker Jean Hoefliger produces a delicious and more oaked version of Chardonnay, he has also created an amazing un-oaked version. Jean and world class consultant Michel Rolland work together to make finesse driven and complex wines, and the 2013 Un-Oaked Chardonnay is a shinning example. Brilliantly yellow, reflecting light like diamonds while the strong minerality compliments Meyer lemon and creme brulee flavors. Its gentle acidity and complexity make this Chardonnay a good choice on any warm sunny day, and with a range of summertime foods like ceviche or grilled vegetables. The owners of Barnett Vineyard intended for their winery to be driven by passion and patience. This led Fiona and Hal Barnett to focus the energy of their brand to high quality, low production Cabernets from the top of their Spring Mountain estate. The Merlots and Cabernets produced by Hal and his neighbors have garnered well deserved praise, but one of our go to wines is the 2013 Savoy Vineyard Chardonnay from Mendocino’s Anderson Valley. It is quite a distance from Napa Valley, but much cooler thanks to the nearby coastal influence. The vineyard itself is on raised bench land, and planted to classic Dijon clones perfectly equipped to thrive in this particular terroir. This elegant 2013 was only aged eleven months in oak, and only twenty percent new. The light touch is enough to influence subtle vanilla and spice notes without overpowering the perfumey floral aromatics of a proper Chardonnay. The partial malolactic fermentation also serves to increase the aromatics and texture, but leaves the purity of this ideal vineyard in tact. Rich Frank is one of the most vibrant and creative Hollywood players, and he and his family are still deeply involved in the industry. 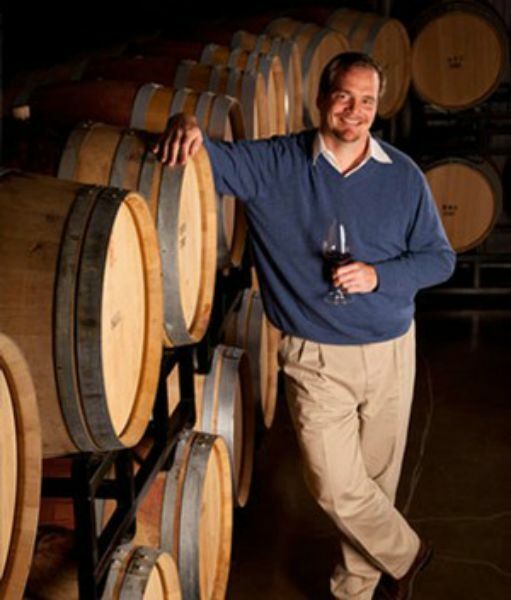 But he made his passions in the wine world known when he purchased the old Larkmead Winery in 1992. Since then, Rich and his winery have focused on wines only sold at the winery and a small list of restaurants and retailers. As most wineries in Napa Valley, they have a great Cabernet Sauvignon program that includes fantastic reserve and single vineyard wines, and a wonderful Zinfandel. The 2013 Chardonnay has a slightly larger dose of both oak and malolactic fermentation then our previous two Chardonnays. This rich and creamy version shows that while lighter versions might be gaining in popularity, the classic buttery and mouth filling Chardonnay will always have a home in California. Generous sweet vanilla and a creamy mid palate don’t dominate the stone fruit and ripe citrus zest, instead reaching a harmonious balance that leads to a fresh green apple finish. If you want a Chardonnay that drinks like a Chablis, or if you prefer the dense classic California style, we can ‘Make it Happen’ for you all over the Napa Valley. We work with these and many other wineries to show you the best tasting rooms and experiences Napa has to offer in an intimate and comfortable setting. ©2019 MG Concierge. All Rights Reserved.